Ricardo Zamora Martínez, was known as "Divine." An adjective that describes the effect that Zamora produced on the fans and rivals. Its passage by the Spanish football left a deep imprint. Its always perfect position covering the goal, the security that showed in all his actions, his incredible reflexes, nerves of steel and personality. 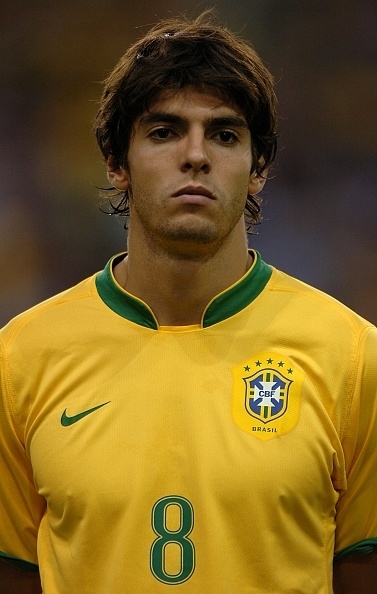 Undoubtedly one of the best Spanish players in history. Ricardo Zamora was born in Barcelona in 1901, and began to play soccer when the sport took its first steps in Spain. 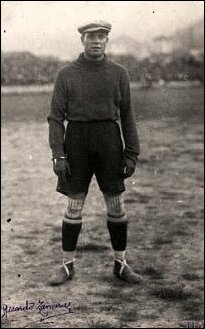 His career began in 1916 when just 16 years joined RCD Español, club where he trained as a professional player and where he played his first games. In 1919, after a quarrel with the Español executives, joined rival club in the city, Barcelona. He was Barcelona player for three seasons and with the Catalans won his first title, a Spanish Cup. In 1920 the Spanish football team went to the Olympic Games in Antwerp. In the first action of Spain as a football team in an official tournament, reached the silver medal after winning four matches and losing only the final, which was considered a success. After returning from Belgium, Zamora asked the president of Barcelona, Mr. Gamper, an increase in salary, a request which Barcelona did not accept. In 1922 he returned to Espanyol. Zamora's return to his home club was hatched after a spectacular signing that broke all economic records established. However, Ricardo Zamora had to taste the sweetness of victory with his arrival at Real Madrid. In midsummer of 1930 the capital of Spain is a hotbed of rumors. Zamora joins Real Madrid. Zamora was basic piece at Real Madrid for the title in the 1931-32 season in a great championship, which the team finished undefeated. Would not be the only league title to win. In the following year he repeated luck with the revalidation of the League. Zamora's competition was once again a basic role in the victory. Zamora increase his record with Real Madrid with two Spanish Cups, achieved in 1934 and 1936 seasons. On the latter, the last official match football to be played before the civil war that ravaged Spain for three years, was born the myth of Zamora, in a final that faced Real Madrid and Barcelona at the Mestalla stadium in Valencia. The white team won 2-1 and the player was paraded on the shoulders of the enthusiastic spectators fans. During the Spanish Civil War, Zamora was arrested, being detained at the prison in Barcelona, although there were no known reasons. Finally, the Embassy of Argentina interceded for the release of the player. After his release, Zamora was exiled first to the country that helped rescue, and a year later in Nice (France), a city in which football club he met his friend Josep Samitier. He remained there until the end of the conflict, and retired from football. As a coach, after the war, he joined Atletico. He coached this club for six seasons and won a league title in 1940-41. Subsequently he held the bench Celta Vigo, Malaga CD, RCD Espanyol and in 1952, for the Spanish National team. He was also coach of Venezuela in 1953. He died on September 8, 1978. As a tribute to Zamora, the trophy awarded to the keeper with least goals conceded in the league, bears his name. If it had granted in his day, he would have won three times in the 1929/30 season with RCD Espanyol and those of 1931/32 and 1932/33 at Real Madrid. Zamora drank only red wine, to be more explosive even before matches! He was famous for his ability to save penalties, so he should definitely have this special ability. Also his GKS should be on the same level as Plánicka, in my opinion, which means 94. No problem. It's always better to have proofs for one's suggestions. Unfortunately, it is primarily written in one book I've got about the history of football, the name is "Fußball-Weltgeschichte: 1846 bis heute". But is also stated at sportschau.de: http://www1.sportschau.de/sportschau_sp ... ex_77.html. It is in the last paragraph which states that penalties against Zamora were always a big show as the crowds scrambled to get a place behind his goal to watch him doing one of his amazing reflex saves. Ok, thanks, added Penalty Saver/Penalty Stopper to his cards/s.a. And as mentioned already, I think he should have 94 GKS as he was phenomenal in alleviating dangerous balls in every situation, the best goalkeeper of his generation or at least on par with Plánicka, Hiden and maybe Stuhlfauth. Although i agree with that statement of him being the greatest keeper of his era.. Very high Agi for a keeper of his era and weight at first glance. Is better left him in those standarts because this kind of players have to be only to play against others players and teams of his same era, make him play against like for example Madrid of 2002 will be bizzare and very abussive, he will have to decrease a lot of his level, just imagine how many loops goals of Raul he will eat. Yeah I know that it has nothing to do, I just wanted to make it clear that the standards of these players are to play with rivals of the same era, trying to make them play with more modern team would be illogical, and to look for a certain "realism" we would have to degrade many of his skills. that was clear when i read the topic Di Stefano in 2010.